Once I’ve gotten my Schengen visa from The Embassy of Sweden, the next thing I needed to do was applying Russian visa. When I wanted to applied it, there is a crisis in Ukraine especially in Crimea Peninsula and it is involving Russia Federation. Honestly I was quite worried at the time that this crisis will have impact on my visa application. But, I just thought, why don’t give a shot? The worst case is my visa will be rejected and I will have shorter vacation and go home early. Furnished application document. The document can be downloaded from this link or you can take it at consular office either. Passport and its photocopy (page 2). The passport must have at least 2 blank pages and valid minimum 6 months at the time you left Russia. A photograph (size 3 x 4) and not more than 6 months old. In the official web 2 photos are required yet during the submission, the visa officer only accepts one. The photograph must be attached to application documents. 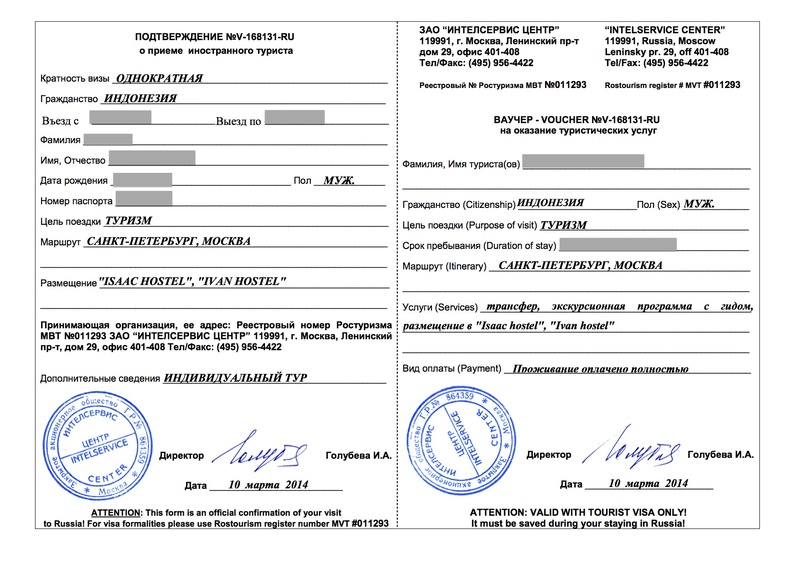 Print out ticket booking to and out of Russia. Invitation letter also known as confirmation letter (visa support) is a letter issued by authorised hotel or travel agency in Russia which shows the reference number and confirmation number for visa. The letter must be in Russian. The invitation letter is a mandatory document as some information on this letter must be put in visa application document: inviting organisation, reference number and confirmation letter. To get it you can ask your hotel to provide the letter or ask travel agency in Russia to help you. In my experience, I chose the latter one. I contacted an agent thru www.myrussianvisa.com and I paid $23 for the service. The letter will be sent to your email in the same working day should the application received before 10:00 AM London Time. Consular office in Jakarta accepts the scanned invitation letter. In case it needs the original document, you can contact the agent to send the original one thru post mail. Yet additional cost needed. The processing fee for Indonesia citizen is $70 for single entry and the processing time is 4 – 20 working days. You can expedite the process by paying $175 for single entry and the process will take up to three working days. The payment can be done in IDR or in USD. 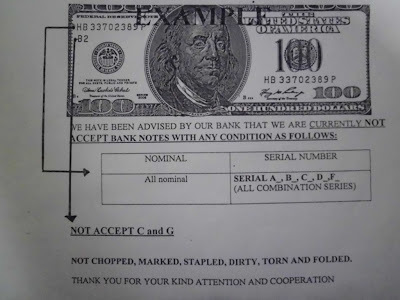 If you want to pay in USD you have to be aware that only bank notes with certain serial number will be accepted. The consular officer will hand you a receipt as a payment proof and you can also find date and time to check your visa status. In my experience, I needed 6 working days to collect my visa and it is approved. I submitted on Thursday and collected it on Friday next week.